MARQUETTE — The Ore Dock is celebrating its five year anniversary and a lot of things have changed for the brewery, including its expansive music scene. ABC Ten’s Chelsea Birdsall has the details. “We’re kind of seeing like the whole ‘Field of Dreams’ mantra, ‘If you build it, they will come,” said Entertainment and Floor Manager at the Ore Dock, Kris Wierenga. “I think it’s so important to provide not only live music, but also art and comedy and theater – all things that we do have here in our community space because I think that’s part of what makes a community really vibrant,” said Co-Founder and Owner of the Ore Dock, Andrea Pernsteiner. 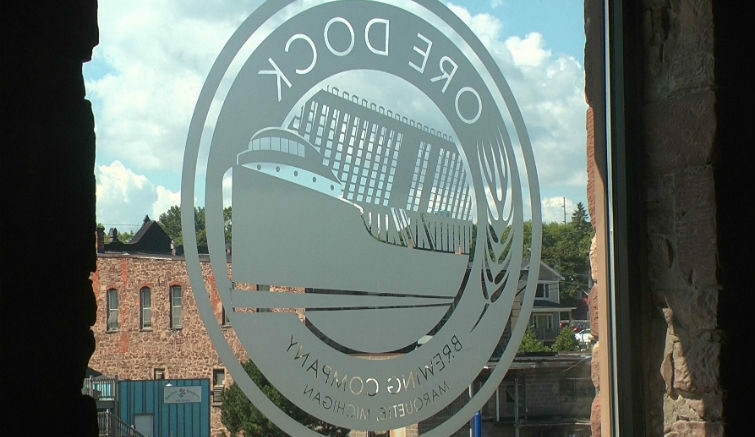 Aside from its reputation in the beer industry, the Ore Dock Brewing Company has put itself on the map as an entertainment venue, helping usher in an expansive music scene here in Marquette. In its first year, the Ore Dock hosted just 48 musical acts, but now 5 years later, they book well over 250 acts a year. Though isn’t always an easy feat as Marquette tends to be out of the way for most artists and bands, the trend is starting to change. Other than live music, the community space on the second floor of the Ore Dock also hosts a plethora of other events like theater festivals and art shows, and even doubles as a study room when not in use for another events. And as the Ore Dock marks it five year anniversary, Wierenga says he’s hoping to see the entertainment side of the brewery grow.